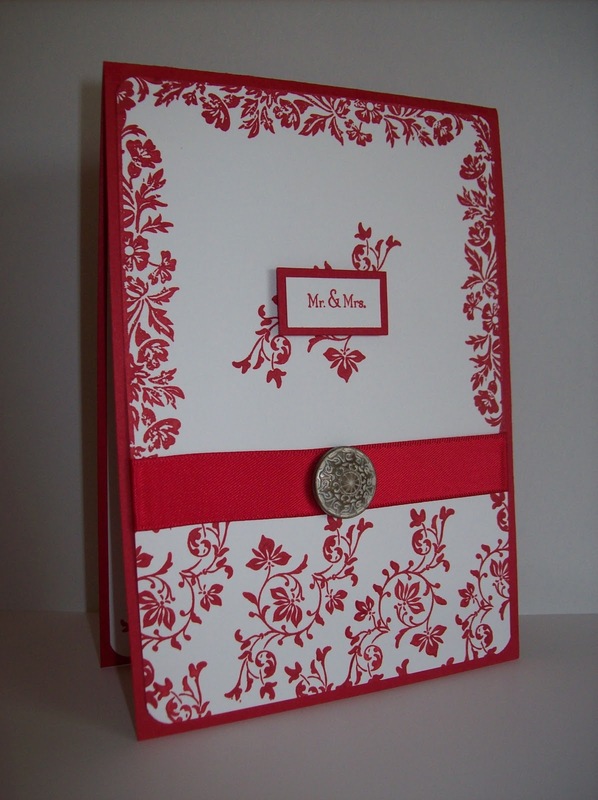 Accessories: Real Red Satin Ribbon, Antique Brad, Stamp-a-ma-jig, Stampin Dimensionals and Adhesive. Single color cards are favorites of mine, and I really like the way you made the edge of this one, with the "Mr. & Mrs." accent in the middle. Thanks so much for joining in the SUO Challenge! I really like the way you used the Vintage Vogue stamps on this card - the top border and white space, the bottom with the vine. Thanks for joining us at SUO Challenges.